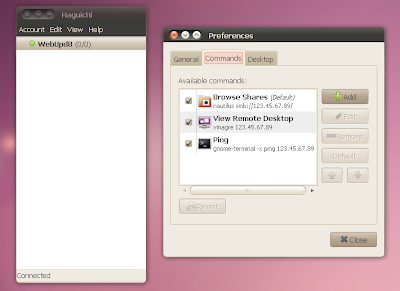 A few days ago we posted an update to the script that installs Hamachi and 2 alternative GUIs in Linux, but the graphical user interfaces in that script don't integrate too well into the GNOME desktop. But I've just discovered Haguichi and I recommend you give it a try. The first public release was launched just a few days ago but it's already very usable. Before using it, make sure you have Hamachi installed (try our script which does everything automatically! ).